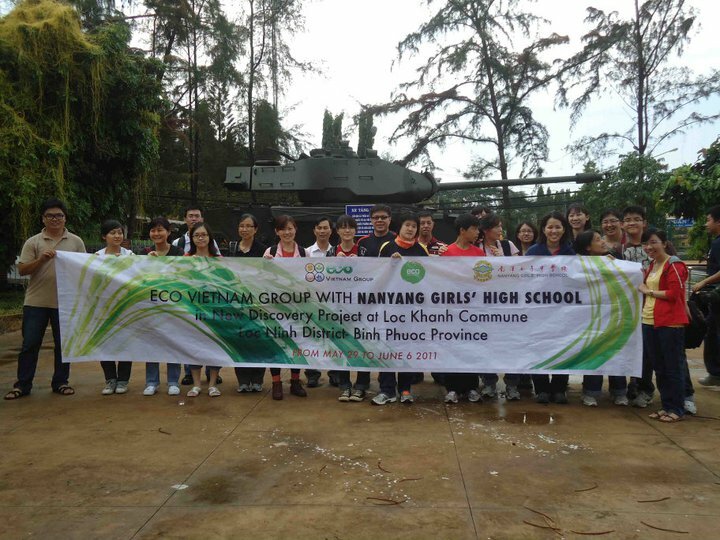 After a long time, the student of Nanyang Girl High School came back Vietnam to work for New Discovery project (from 29/5 to 6/6/2012) in Loc Khanh commune, Binh Phuoc province. 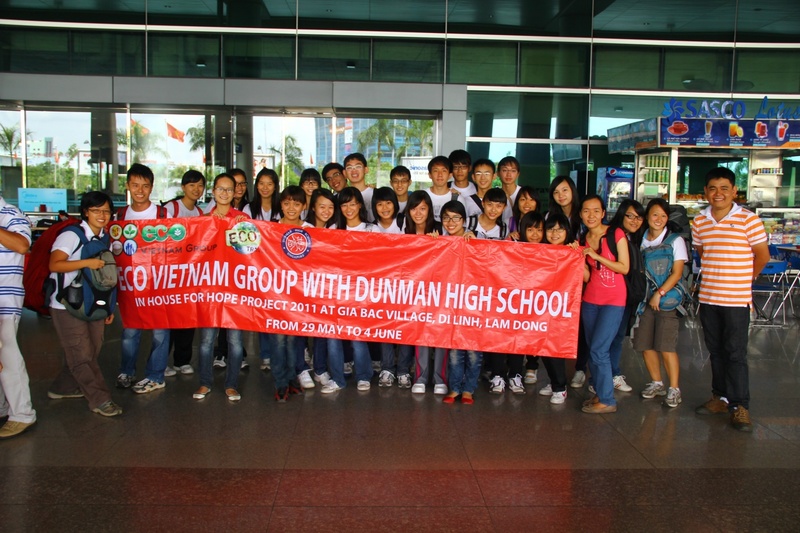 They love Vietnam country for sure and hope to make the poor’s lives be better with EVG together. 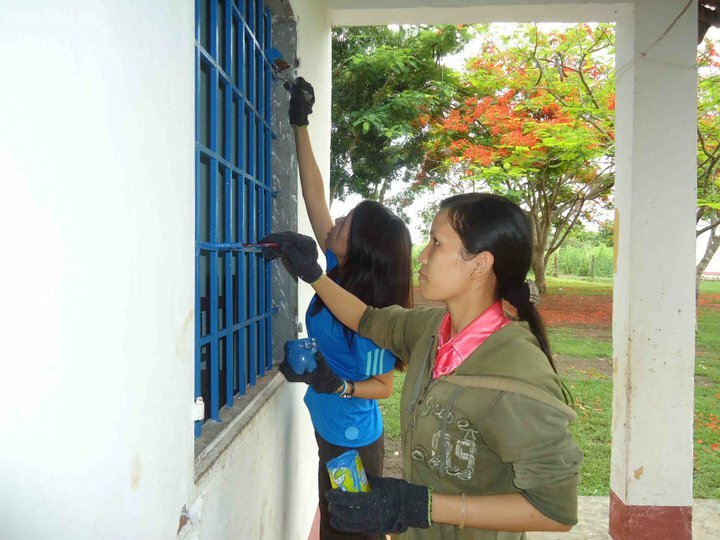 ECO Vietnam Group volunteers welcomed the girls with brightly smiles of early summer days. We wish this journey would have a lot of beautiful memories and experient lessons OCIP. When coming to Vietnam, they visited many famous places in Ho Chi Minh city, especially, War Remnants Museum – which had save the magnanimous marks in our war periods resisted France and USA. Everyone was so excited to listen to tourguide’s report about some important historical events. They also took some picture there. 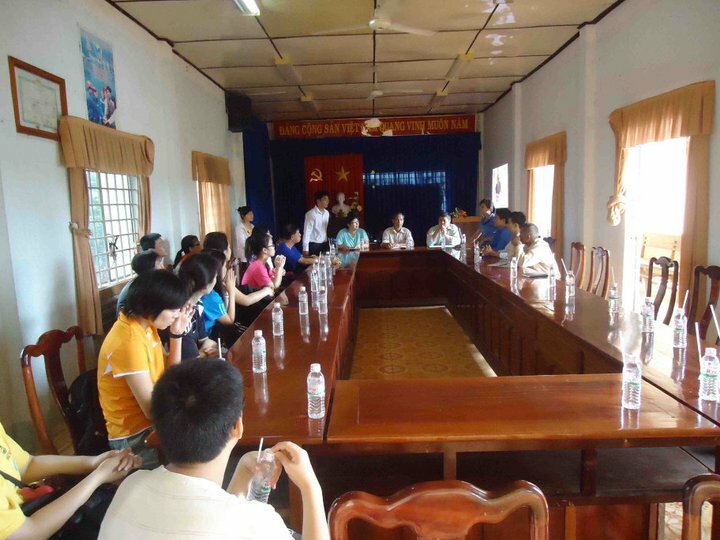 As soon as be present at Loc Khanh commune, they have a meeting with Board of Local Leader. They had an interesting conversation about group’s works that was to come. 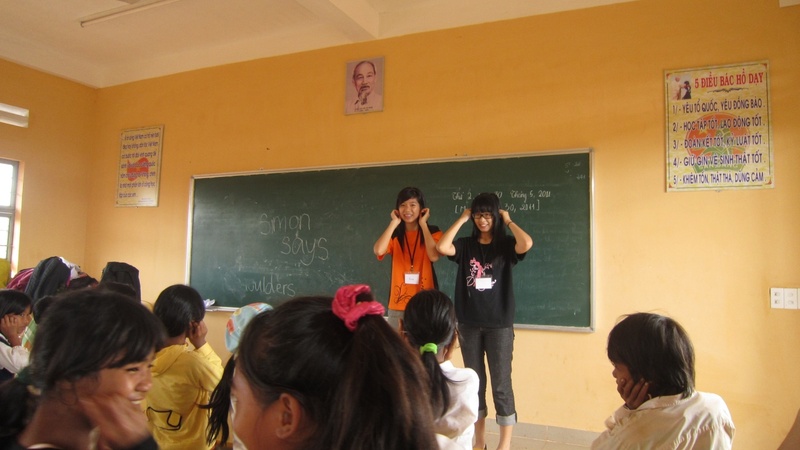 In our program at Loc Khanh commune, teaching English is a indispensable work. The room which had been decorated was used as classroom for children. It’s quite small, but so crowded. Despites hot weather, children pay their attention to lessons. They not only learn by heart so boring, the girls had prepared many lovely gifts that make all kids tried to outdo the others in answering questions. At the time the girls of Nanyang Girl High School stayed there, this local was opening an event for actions because of Vietnamese children. 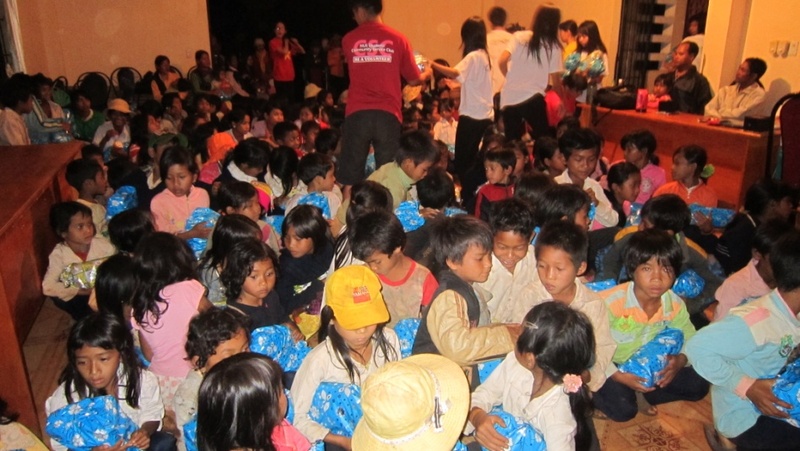 To prepare for this ceremony, volunteers had to spend lots of time, even night to have nice presents for kids. Most of them were books and learning materials which were wrapped so carefully, looked very beautiful. Everyone was preparing gifts for children. They got up very early to make ready for “Kick-off summer activities – Action month for children” ceremony. After arranging tables and chairs for the seats of audiences, they immediately built the stage. The children were also present at their position for performances. They looked so nervous as well as happy. This was also the separation day to Nanyang Girl High School students. The last day became warmer and closer. 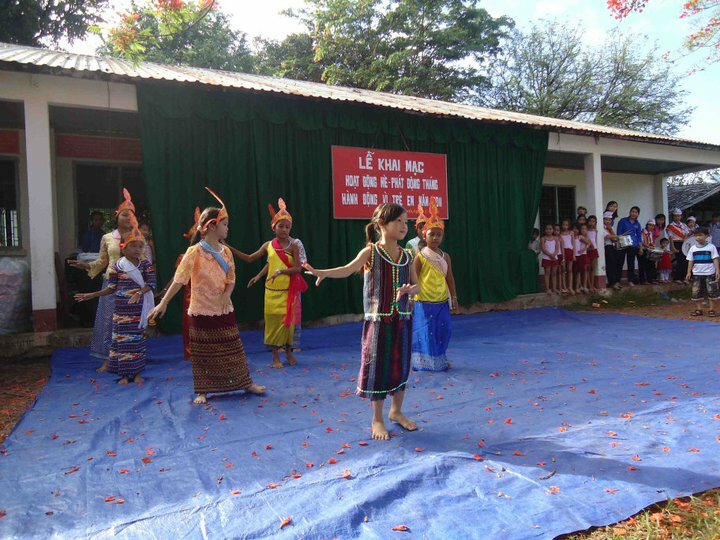 The children was performing a folk dance. The days working together, living and sharing with local people were passing over. 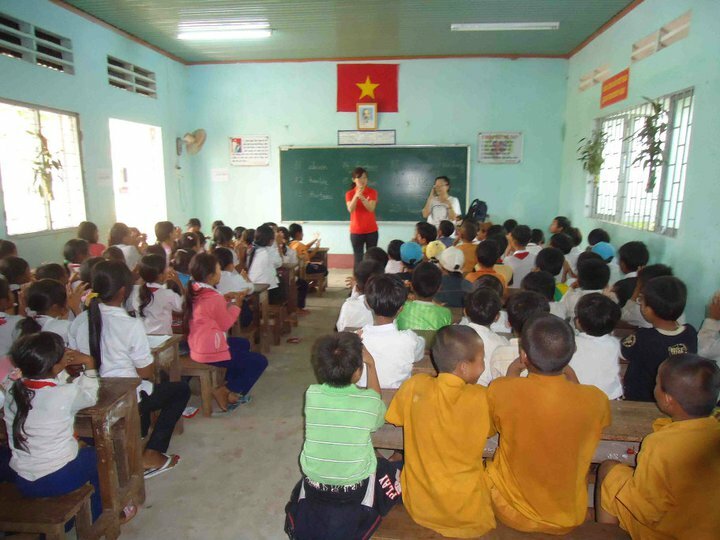 We hope Loc Khanh commune will develop faster and the children will have better study conditions in the near future. 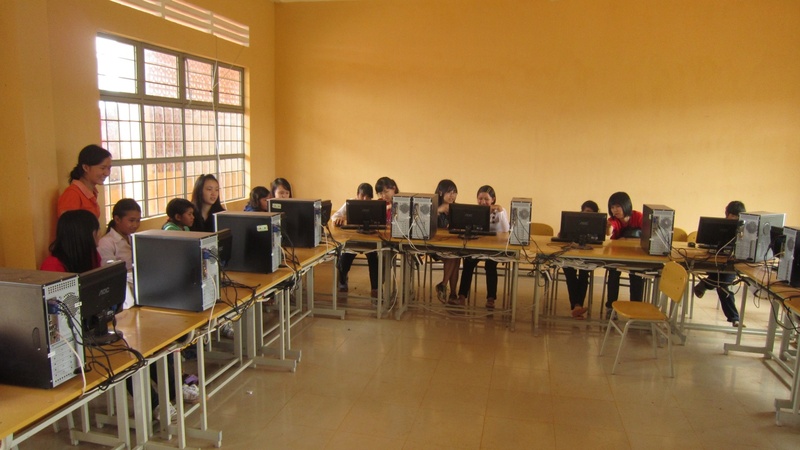 After three months of testing, for the first time, EVG finally applied teaching English in Gia Bac. The students participate in English classes. 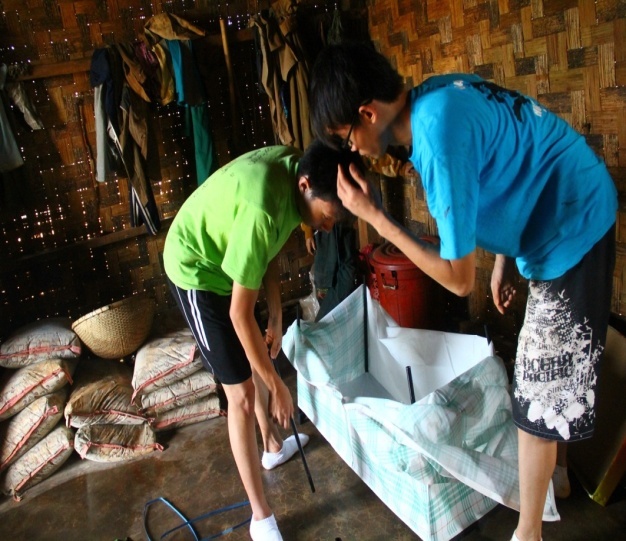 Beside learning English, they also got to learn about personal hygiene. Through encouraging them daily brushing, bathing, nail clippers, pedicure and wash hands before every meal, the group wanted to send a message to the children: hygiene will help the body healthy. In addition, the Group also guided students in computing basic knowledge like Microsoft Word, Powerpoint and Paint. Before each lesson, Singapore students and Vietnam volunteers discussed, prepareed lesson plans and other outdoor activities. During school hours, through the friendly and easy way of communication, students became more bold and exciting. The class quickly connected to the group a most natural way. Before “House for Hope”, we continued to meet families Ka ‘M System in the previous project to introduce the goals of the project. The team succeeded in explaining the harmful effects of smoke kitchen and convince families to build separate cooking area for sleeping. Right after that, the group conducted to help families build new kitchen behind the house with “construction workers” are students. With enthusiasm, the Group has overcome the initial difficulties, wasn’t afraid to take up work under the sweltering heat and heavy rains. After the hard work, the kitchen was built in the happiness of Mo Ka He and the group. 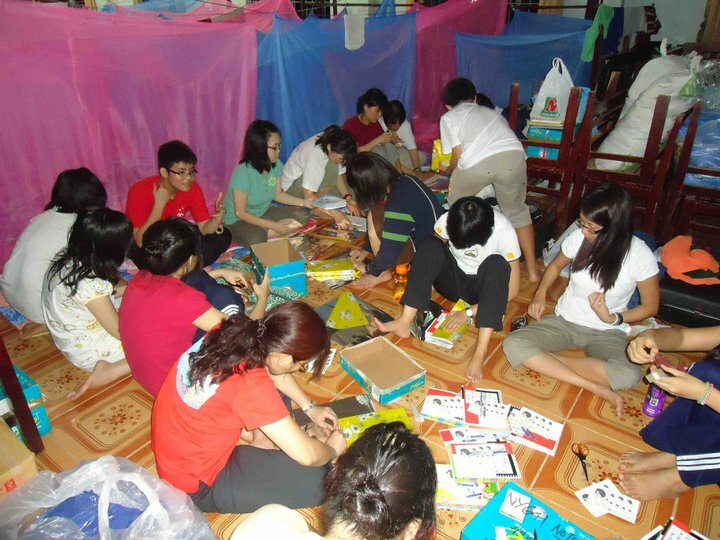 House For Hope Project has brought on the first “International Children Day festival” for the children in Gia Bac. People can feel the joy of the children being awarded many prizes from the fund that were dedicated build. Despite bad weather, the program still takes place in its entirety. In the future, the group will try to organize more similar events significant to help them better integrate into the community.